A mechanical street map, a deserted slum, a church in ruins, and a football. 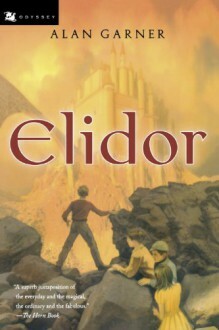 Four ordinary things lead the Watson children on an extraordinary adventure to a magical land called Elidor. In pursuit of four ancient treasures, the forces of evil have crossed over into our world, and it falls to the Watson children to find the treasures, seal the bridge between worlds, and guard the strayed unicorn Findhorn . . . even though their heroism may cost them everything. Sunday R4x. Classic fantasy with Mossie Cassidy.http://www.bbc.co.uk/iplayer/episode/b0106x20/Alan_Garner_Elidor_Episode_1/Nah! Not for me at this time.